Meg Newhouse is the founder of The Life Planning Network, an independent educator and author, most recently of Legacies of the Heart: Living a Life That Matters (2016). For the past 20+ years she has worked with people in midlife and beyond to craft fulfilling and contributing lives through Passion & Purpose LifeCrafting. She has been active in the Conscious Elders Network from its early stages. She has helped plan five Positive Aging conferences and co-edited LPN’s book, Live Smart After 50. Meg is passionate about conscious aging, sacred activism, and much more– including her family/grandchildren and friends, music (flute and singing), nature, yoga, learning/growth. She lives near Boston. Ron Pevny has for forty years been dedicated to assisting people in negotiating life transitions as they create lives of purpose and passion. 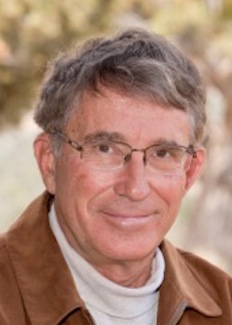 He is Founding Director of the Center for Conscious Eldering, based in Durango, Colorado. He is also a Certified Sage-ing® Leader and was the creator and administrator of the twelve-organization Conscious Aging Alliance. He is author of Conscious Living, Conscious Aging: embrace and savor your next chapter, published in 2014 by Beyond Words/Atria Books. Ron has presented many week-long Choosing Conscious Elderhood retreats at Ghost Ranch and other retreat centers around North America over the past fifteen years, as well as numerous introductory weekend workshops. Pat Hoertdoerfer is mother to 4 adult children, partner to Manfred for 50+ years, Oma to 7 grandchildren, and enjoys retirement living in the lakes region of New Hampshire. Through her many decades she has lived her passions of sharing stories around a campfire, engaging multigenerational spiritual growth and participating in cross-cultural adventures. Rev. 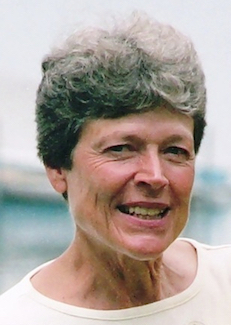 Patricia Hoertdoerfer is a professional educator and a retired Unitarian Universalist minister who practiced her leadership in academic institutions, congregations, community organizations, UU camps and conference centers, and interfaith communities over the past 40 years. As a certified Sage-ing® Leader she is currently sharing her ministry with elders while engaging in service to future generations. Connie Goldman is an award-winning radio producer and reporter. Beginning her broadcast career with Minnesota Public Radio, she later worked for several years on the staff of National Public Radio in Washington D.C. For the past 30+ years her public radio programs, books, and speaking have been exclusively concerned with the changes and challenges of aging. Grounded in the art of personal stories collected from hundreds of interviews, Connie’s presentations are designed to inform, empower, and inspire. Her message on public radio, in print and in person is clear—make any time of life an opportunity for new learning, exploring creative pursuits, self-discovery, spiritual deepening, and continued growth. Public appearances and book information can be found here. 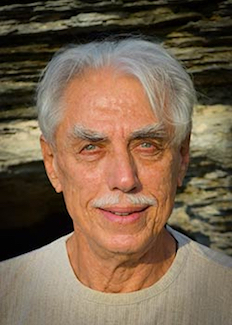 Charles Lawrence’s initial callings led him into the fields of psychology, theatre and business until a series of “initiatory strikes” opened a whole new course at age 40; summoning him to world travel to meet with indigenous elders and shamans from Mongolia, Siberia, Australia to the jungles, deserts and mountains of Peru, Australia, Mexico, South Africa and elsewhere. His journey eventually led him to Hotevilla where he was adopted by Hopi elders, and has remained in close contact, for over 30 years. He is known as a known as a cultural bridge builder, possessing an ability to make swift and lasting connections with indigenous cultures throughout the world.